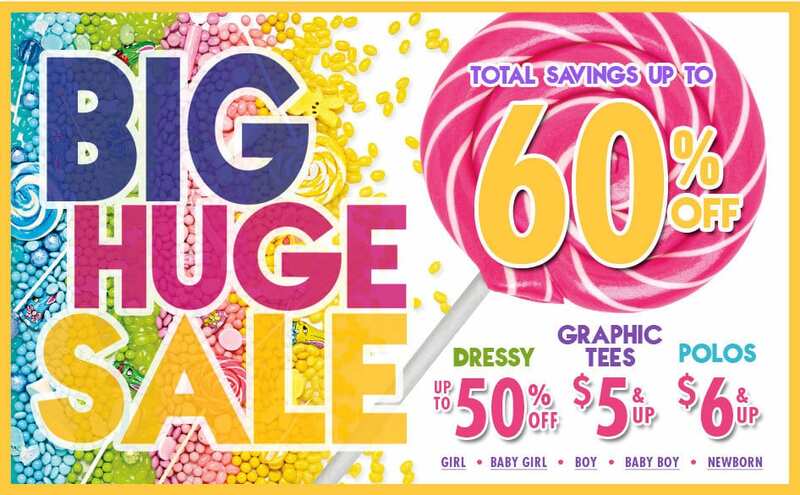 The Children’s Place Sale! Snag an extra 25% or 15% off already Sale Prices! Great time to stock up for the kids! Flat $5 shipping on all orders under $75, orders $75 and over get FREE SHIPPING! Great deal on custom memo pads includes free shipping! Customize them with pictures and text! These make nice gifts or stocking stuffers! HOT Deal! LED Work Light Flashlight 40% OFF! 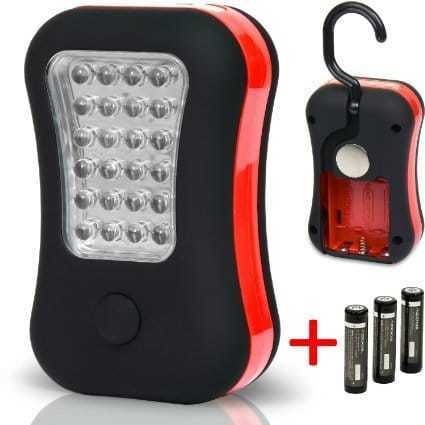 Great deal on this versatile little light! Great for garages and workspaces. Priced at $34.95 but you have a $5 coupon to clip! Under $30 shipped is an awesome price! 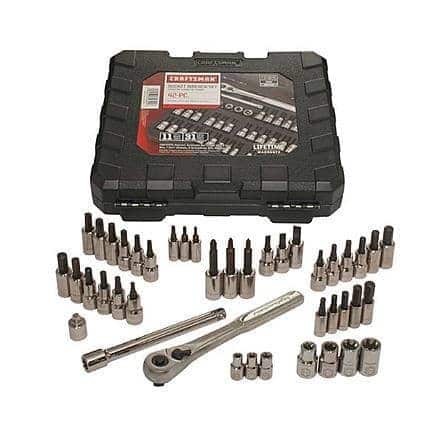 Craftsman 42 pc Drive Bit & Torx Bit Socket Wrench Set SWYM $29.99! Shop Your Way Members get this for ONLY $29.99, non-members price is $99.99! Best way to shop is by being a Shop Your Way Member! From a great brand that is I Love Comfort. Other colors available but this color had stock to ship and for local pick up in my area. Have you ever taken a look at how your grandparents or great-grandparents lived? Chances are, they were really, really good with their money. Why do you think that is? Basically: they lived through times when things were hard…and I mean harder than you have (hopefully) ever experienced. They may have lived through the Great Depression. The Dust Bowl. World Wars. Been immigrants. Been part of big families with not enough for everyone. They may have been poorer than you can imagine. Because of that, they learned to do things differently than you and I have. I remember many stories told to me by my grandparents and great aunts and uncles, fascinated by stories of no running water and no electricity. Nothing compares to the life of comparable luxury we enjoy today — some of which is in part to their hard work and sacrifices to make future generations of the family successful. 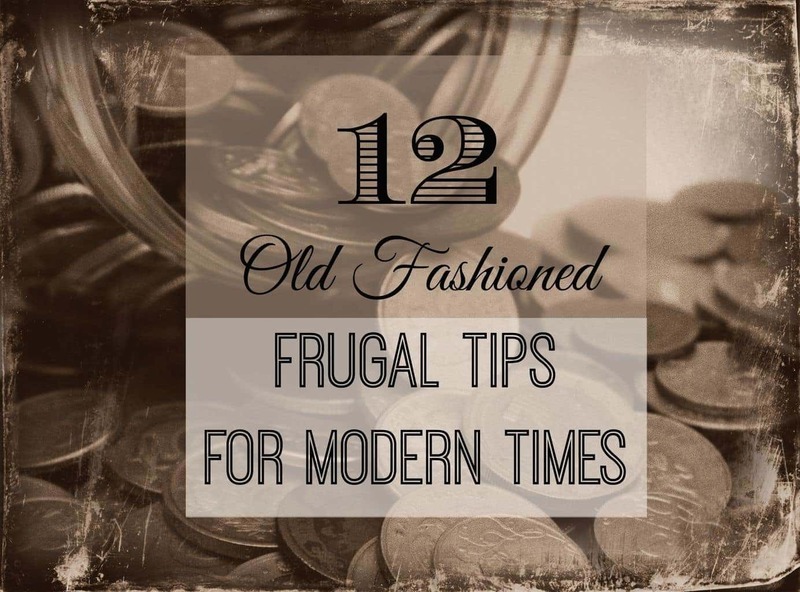 Here are some of the best lessons I learned from the “Olden Days” that still apply today. I try to incorporate these into our life and am teaching my daughter the same. Waste Not Want Not – Your grandparents learned to use everything until they couldn’t use it anymore, and most of us could take a hint from them. Are you using everything in your life until you no longer can? For example, using chicken or beef bones until they’re mush to make stock then using the mush to make pet food, or keeping a bag in the freezer for vegetable scraps to use for stock or soup. Make sure you extend this to every single area of your life and use the last of your makeup, toilet paper, ink in a pen and more. My grandma always saved the last slivers of a bar of soap in a jar, and she added a little water to make her own Soft Soap. Save every dime (0r penny) you can – Savings account looking a little bare? Or is it non-existent? Take a tip from your elders and save every penny you can. A penny saved really is a penny earned. In fact, a lot of people who were kids during the depression later invested those pennies and are living quite comfortably now thanks to that smart thinking. In that vein, try to use coupons and shop sales. Saving a few dollars (to a few hundred a month) just by using coupons really does add up. Let go of your pride – Ask anyone who grew up in that time period and they will tell you that they were willing to do any job at all to help take care of their families. In today’s world, it’s common to think that we’re above a certain job because it may pay less or we may just feel it’s “beneath” us. If things are rough? Nothing is beneath you when it comes to feeding your family. What you may think of as a menial job, they thought of as opportunity. Do the same. Get Creative with your meals and eat at home – Some of the most memorable meals are the simplest and this holds true for cooks during the Depression Era. One of the best tips is to replace ingredients with cheaper ones. Lentils or beans are great for substituting ground beef and you can easily stretch most soups or casseroles with rice or egg noodles. Want to use the meat but make it go further? Mix in some oats or oatmeal. And save meals out for special occasions. Even a drive through trip can cost $20! Planning ahead for those busy nights by having some meals in the freezer will save your budget, and taste much better than a burger in a bag. Skip the store and make it yourself – Depression Era families learned how to make things at home instead of buying them. 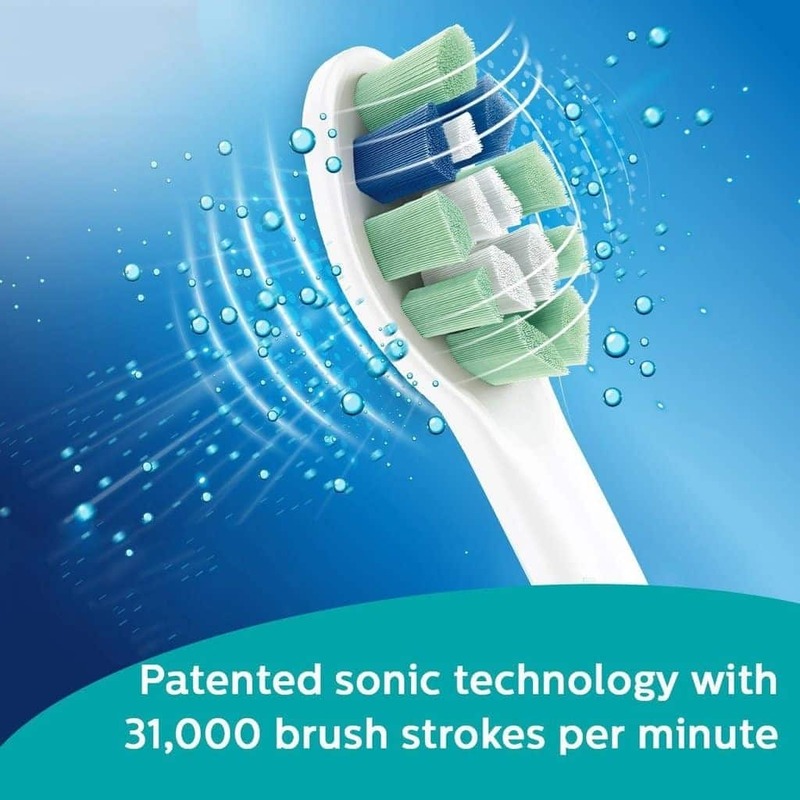 This could include things like toothpaste, deodorant, laundry soap, bread and more. All of these things are much cheaper to make yourself than to purchase. Grow it yourselves – Most families had gardens and they were a necessary part of life if you wanted to eat. Victory Gardens were popular during World War II, and many families depended on what they grew to feed the family. There was no super grocery store to run to when you needed food, and many families could not afford store bought anyhow. If you try, make sure that you include things like celery that can be grown from scraps so that you don’t waste anything. And a compost pile is a great way to recycle food scraps into beautiful organic fertilizer. Fix It Yourselves – Have a skirt that needs hemmed? Learn to do it yourself. Need a rip sewn? Learn to mend it yourself. Plumbing need fixed? You guessed it, fix it yourself. Your grandparents learned to do it themselves (often by sheer necessity) and you can too. Your wallet will thank you, and you will feel accomplished. And these days Google and YouTube are fabulous resources of information for practically anything you want to learn to do. Just know when you really should call that professional to be safe. Trade for it – Money was not the only commodity, and in fact trade was very common. People traded things they had or services they could do for things they needed. Doctors were often paid in eggs or crops. My own grandmother used to trade her excellent sewing skills for things the family needed all the time. Learn Needs vs Wants – Money does not in fact grown on trees, and when budgets are tight needs vs wants become stark reality. I am not talking about basics like food, shelter and utilities. I mean the extras that we THINK we need. Not sure if you really need something? Try this test: Consider the thing you need/want. Would you be willing to have the thing or the same value in cash? If your answer is the cash…you probably don’t need it, you just want it, so consider carefully. Things like satellite tv, data packages on smartphones, and expensive coffees out are all nice. But if you need cash more, then you need to consider cutting back. Brew your own coffee. Sign up for Netflix. One trick I do when I want something is figure out how long I have to work to pay for that item. Usually it goes right back on the shelf. Hand it Down and Pass it On – Ok this one can be really fun! I try to shop at thrift stores, and I learned this from my grandma who dressed very nicely on the cheap! There are some good thrift stores nearby and the clothing is great quality, so when I have NOTHING to wear (lol) I head to the thrift store to satisfy my shopping bug without breaking the budget. Here is the fun part — When I am done wearing something, I put it in a bag and then I pass the bag to a friend. I get bags passed to me. Take what you want and add to it and pass it along. It is a great FREE way to rejuvenate your wardrobe. And for kids, definitely pass those clothes (and TOYS as well!) on or even SELL them on resale sites. And invest in classic items for things like coats, boots and bags. Fads are pricey and often poor quality. Sometimes it is a better value to spend a little more on something that you want to use for years. Sell Sell Sell – One man’s trash really IS another man’s treasure! I sell things we no longer need on Facebook resale sites. You would be surprised what people will buy, so give it a go. My grandma sold jelly and jam. My grandpa earned extra cash working on boat engines in his spare time. My other grandma made custom draperies at home. If you have a hobby, see if there is a way for you to get paid to do it! Live Below Your Means – This one is really the biggest. My grandparents lived in the same small house they bought in 1942. They raised 4 kids in it and lived there proudly until the day they were unable to care for themselves. They didn’t buy a new car every year, they used it till it wore out. They could have afforded more than they had, but they didn’t spend frivolously or foolishly. My parents still live in the house I and my brother grew up in. Don’t take on debt for bad reasons, like keeping up appearances. There really do come those rainy days (Or months. Or years even.) when NOT keeping up with the Jones’ pays you back in spades. My grandparents eventually needed their savings to take care of themselves in a decent place when the time came, and our family felt better that they were well cared for until they days they passed. They taught us all well, and I am trying to live their lessons and teaching my daughter the frugal way. Are you famous in your family for last minute gift buying? Do you spend too much because you don’t plan ahead? If so, I have the answer for you – Build yourself a gift closet! What in the world is that? Pretty much exactly what it sounds like. It doesn’t have to be a closet, but it is a stash of gifts that you can go to whenever you need one before going out and buying one. That’s all fine and dandy, right, but building one frugally one does take a bit of time and planning. After all, if you just ran out and bought a bunch of gifts to stock it with, you would be broke in no time. 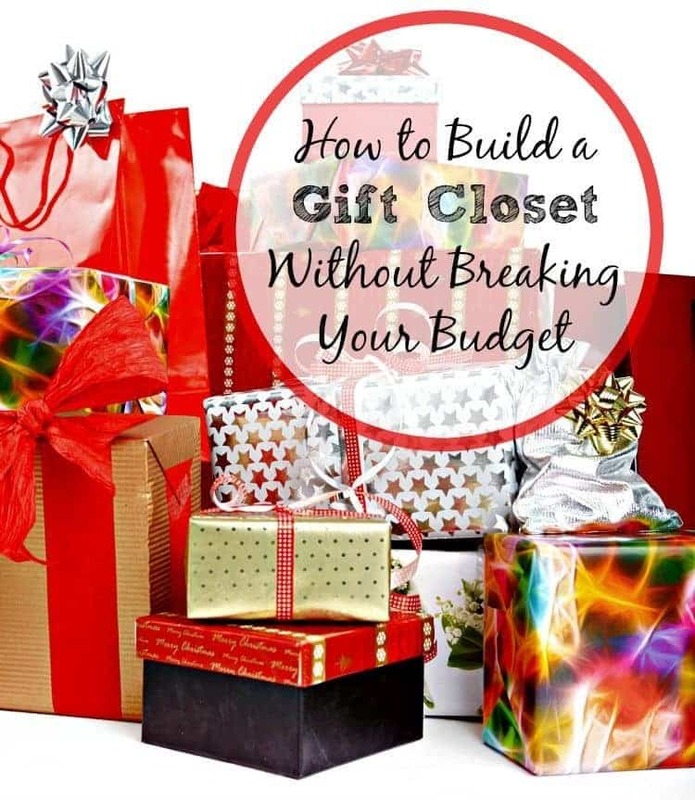 Check out these tips on how to build your gift closet without breaking your budget. Start small – As I said earlier, the last thing you want is to buy a bunch of gifts all at once. Instead, start small. Buy one or two things at a time when you find them on sale then stash them away. Shop throughout the year with your recipients in mind. Start early – Some of the thriftiest shoppers in the world start early…as in the day after Christmas early…for the next year. Why? Because clearance deals are too good to pass up during that time period. Start building your gift closet as early as you can and you’ll not only save, but you’ll score awesome gifts, too. Scour the deals – Not only should you make friends with your favorite deal blogs, but you should also get to know the clearance section at your favorite stores and websites. On top of that, you may want to consider signing up for your favorite cash back website to help you save even more on online purchases. And if you shop Kmart or Sears and thousands of other partners, sign up with Shop Your Way and make me your Personal Shopper. It is FREE and you earn points on every purchase = cash money off your next one. Use Free Gift Cards – When you’re using gift cards to pay for something? You’re not using cash. See the savings? 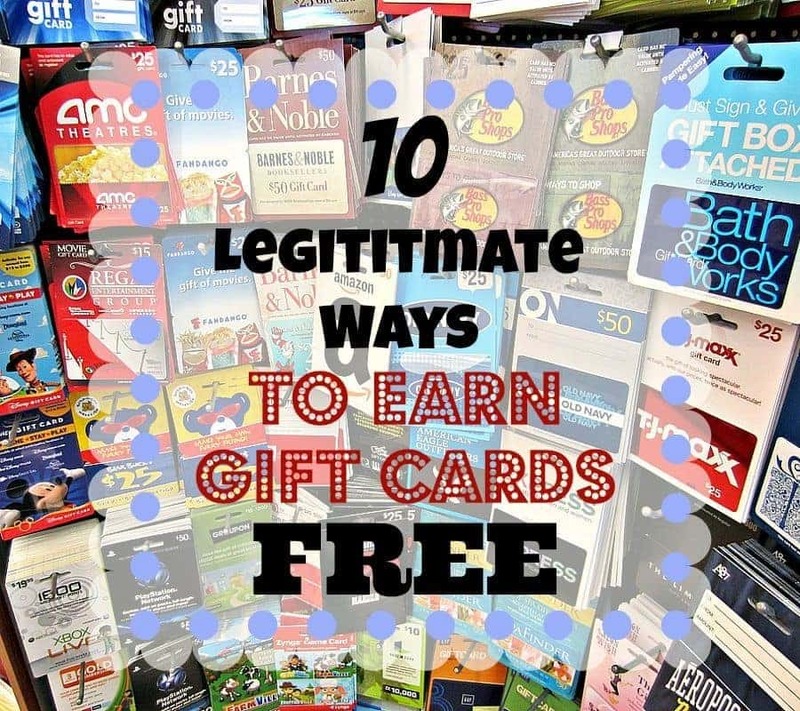 If you aren’t sure how to get started earning free gift cards or want to start earning more, check out these 10 ways to earn free gift cards. Don’t forget the cards – I also stash away cards to save me a trip to buy one at $4.99 while we are dressed and in the car on the way to the event — I like the $1 cards at Family Dollar and Target. I keep a good selection, grabbing a few at a time when I see ones I like. Remember, too, that sometimes a handmade card is just as great and way more personal (and frugal). Having a gift closet around is a fantastic time saver, money saver and just overall sanity saver. Keep your gifts stashed away where no one will find them and when the time comes and you need one, you’ll be all set with no shopping required! The Holidays will be here before you know it and there’s no time like right now to start planning your holiday budget. While you should optimally try to budget and save for gifts all year long, you should also look at earning as many free gift cards as you can. It is fairly easy earn them to help pay for gifts, and to pay for regular stuff you need through the entire year. Yes, you heard me right. Earning free gift cards is an awesome way to make your budget stretch a bit farther than it normally would. There are a ton of different ways that you can earn them, but these 10 ways to earn free gift cards for Christmas are my absolute favorites, and totally legitimate. Holiday budgets don’t have to be a scary thing. Use these 10 sites and apps to help you make it more manageable, and make sure you check out the BONUS site at the end! Amazon Trade In Program – Did you know that Amazon will pay you for items you no longer want? Items like Books, DVD’s, Video games and more can all be sent to Amazon to exchange for Amazon gift cards. InstaGC – Do you like taking surveys and filling out offers or watching videos? If so, InstaGC is right up your alley! The selection of gift cards to choose from is huge and payout is instant when you cash out. 100 points = $1.00 gift card and you earn an automatic 10 points for signing up, plus easy to earn more fast by confirming your email and other easy tasks. SwagBucks – SwagBucks is still the standard when it comes to search and win. Use it in place of Google, take surveys, play games and more to earn points. Those points can then be exchanged for gift cards or even Paypal! I really just use the search engine portion and I earn $10 worth of Amazon gift cards a month (my choice – they have lots). ShopKick – Do you have a smartphone? Are you constantly running in and out of stores? If so, put that to work for you! When you head to a store on the list, you’ll be given kicks just for walking in the door of stores like Target, Walmart, and more. You can also earn for scanning barcodes in the store. Trade your kicks in for awesome gift cards like Target, Walmart, Best Buy and more! Best part — the app reminds you when you are nearby so you don’t forget to get your kicks when you walk in. iBotta – If you’re not already using iBotta, you should be. When you buy certain items and iBotta will pay you cash back! It is so easy even a child can do it. And kids love helping with this. Look through the iBotta offers before you head to the store to help you make your list. There are even offers to save on things like eggs, milk, and produce. You will have to do something quick like take a one question survey to unlock the offer – it literally takes seconds. Then, shop as normal. When you get home you will need to scan the item and your receipt, then you get the offer amount given to you as a rebate. You can choose to cash out your rebates via Paypal or you can get gift cards! Join iBotta and earn $1 extra when you earn your first rebate. Perk – Another awesome way to use your phone to make yourself some free money is by using the Perk app to watch commercials! There are other apps that will earn you points. They have a very large selection of gift cards to choose from and points generally rack up quickly! Receipt Hog – Do you shop? Of course you do! Scan your receipts into Receipt Hog and you’ll earn spins to win points. Trade your points in for Amazon Gift Cards. Bing Rewards – Another search and win that can score you gift cards for Amazon, Sephora, X-Box Live and more! Harris Poll Online – A true survey company, Harris Poll pays its members for taking surveys in Amazon gift cards. (A Nielsen Company) – Get Paid For Your Opinions! Easy to do. MySurvey – Another true survey company, with MySurvey you can earn either cash or gift cards. A group of consumers from throughout the United States who influence future products and services by volunteering to participate in consumer research. Ever wish you could share an idea directly with a brand (like Walmart) to help create positive change? C Space specializes in bringing the customer and the brand closer together to share ideas directly. Earn Amazon gift cards for monthly participation! 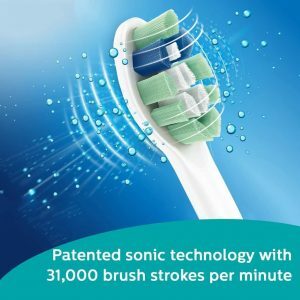 I worked with this company last year to connect readers with some MAJOR brands and they are awesome. Score a set! Here’s how! 2. Add the Craftsman 2 1/4 ton jack stands 2 pack to your cart – it will be On Sale for $14.99 and eligible for MAX shipping or store pick-up. Save more at Sears and Kmart! Become a Shop Your Way member and select me as your Personal Shopper for exclusive client benefits. Existing members can also select me as their Personal Shopper to get access to special coupons and offers. Signing with Shop Your Way is easy and FREE and comes with TONS of benefits. I will send you a $5 in points on a $25 purchase coupon that you can use right away. STACK THE SAVINGS! Up to $100 Off at Lands’ End, $20 CASHBACK & FREE SHIPPING! WOOT! Stocking stuffer and donation alert! 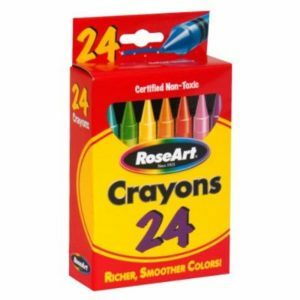 RoseArt Crayons, 24 crayons ONLY 50 cents! Reg $1.79 Store pickup at Kmart and Sears!! CLEARANCE! Coleman 56 Quart Wheeled Cooler ONLY $22! SAVE $22.99! ONLINE ONLY PRICE! Craftsman 13 in. 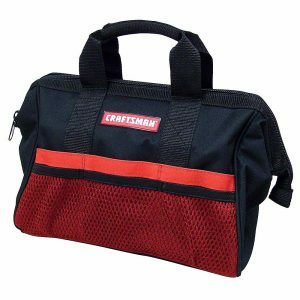 Tool Bag only $4.99 right now with store pick-up. This would make a great gift stuffed with snacks, stocking stuffers, etc. Save more at Sears! Become a Shop Your Way member and select me as your Personal Shopper for exclusive client benefits. Existing members can also select me as their Personal Shopper to get access to special coupons and offers. Signing with Shop Your Way is easy and FREE and comes with TONS of benefits. I will send you a $5 in points on a $25 purchase coupon that you can use right away. HOT! 10-Foot Screenhouse for $29.99 (regularly $69.99)! What a nice set! 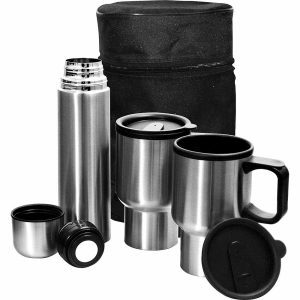 Travel Mug with Thermo set and carrying case includes 2 mugs a thermos and a carrying case all for $7.49. Store pick-up only. I scored a couple of these for stocking stuffers. WHOA! Craftsman PM5875 75′ x 5/8″ Garden Hose ONLY $14.39! 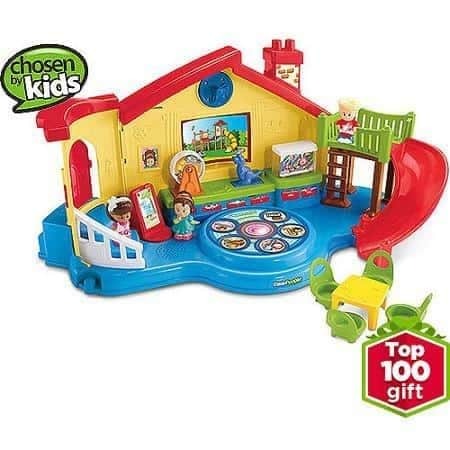 The cute Fisher-Price Little People Musical Preschool Reg. $49.97 is on a great SALE for only $22.00 with free store pick-up. 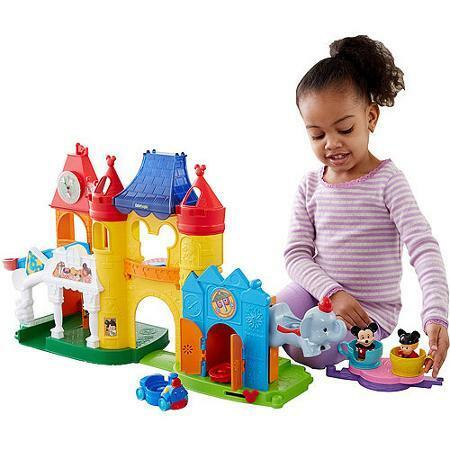 Fisher Price Little People Discover Disney Only At Walmart! Regular $49.97, right now it is only $25 with free store pick-up. HURRY! Safety 1st Smooth Ride Travel System ONLY $63.89! Car Seat & Stroller!